This thread makes me sad that I have to sell mine. 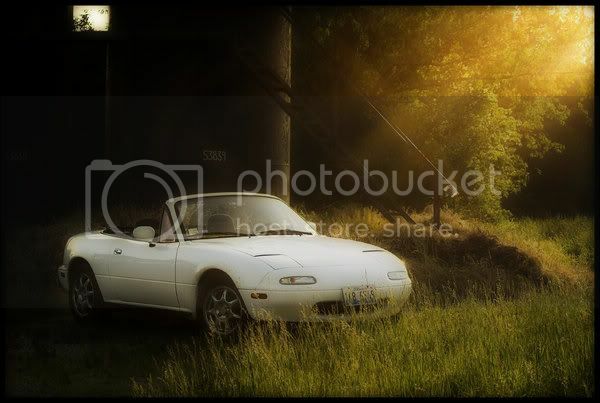 I'll own another one some day. JSW TDI, Mustang SVO, et al. Thanks for the compliments, and yeah it is pretty fun. I'm running a DIYautotune's PNP kit that has been upgraded to MSII-E. As far as the wheels? They're 15" OZ Superleggeras that I scored for $50. Some chick that I used to work with bought a civic that had the wheels on it. She managed to ruin the tires (the car had a bad alignment) and since she couldn't afford new tires she just put some steelies that her brother had laying around. 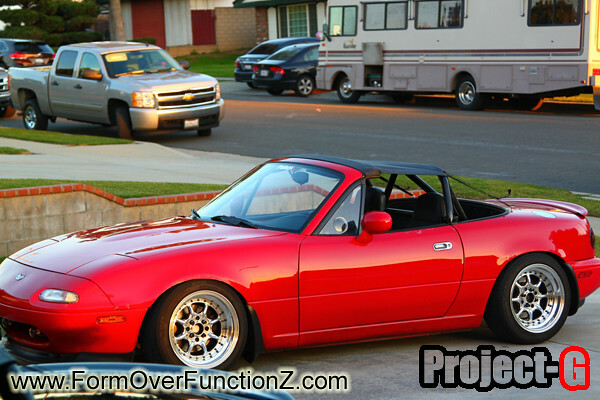 6 months go by and I came across the wheels in the tool shed and realized that they would work perfectly on my Miata. They were still pretty much brand new! I called her and asked how much she wanted for them and she said "Oh just give me $50 next time you see me." SCORE!!!! I want some BBS RS's or RS knockoffs. 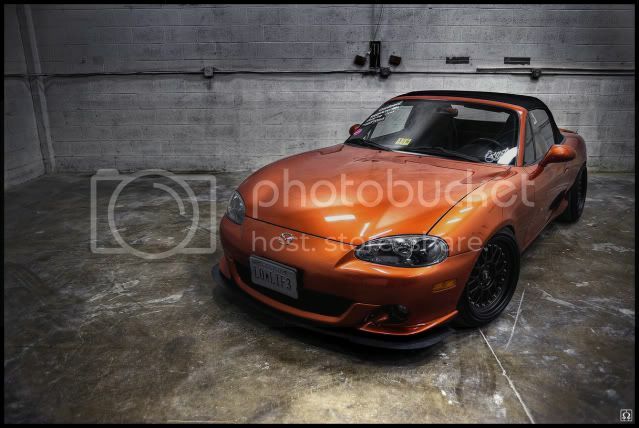 Maybe some Panasports or some old school JDM wheels. Something that will still look good at 15" because I don't want to run anything bigger. I like a little meat on my tires. It's low on my list of priorities right now though. Damn, that makes me sad too, but mostly because I can't afford to buy it. Midwest pricing. 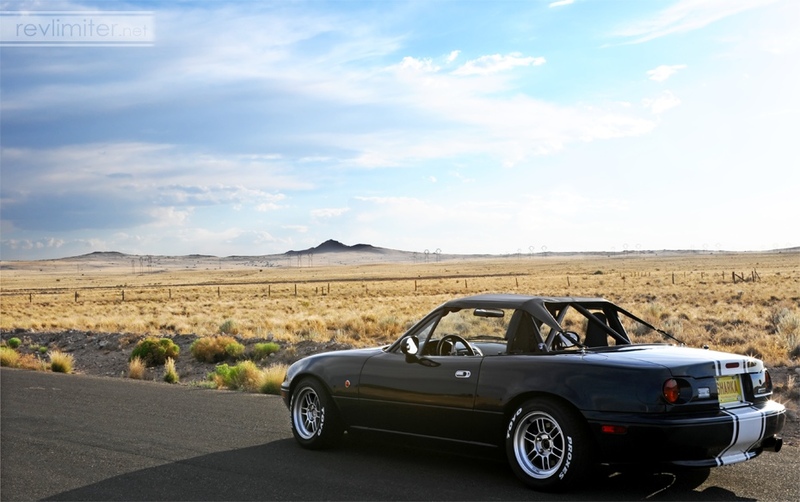 It would probably be a $25 Miata in California. 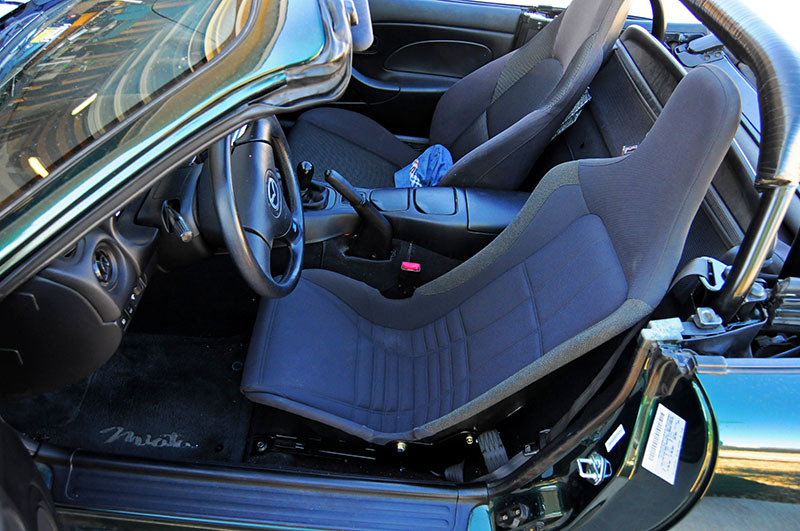 Lotus Elise (Probax) seats meet your criterion, but they're upwards of $900/pair. Comfortable, drops seating position by almost 2", full head protection, racetrack ready. I've heard of those but honestly haven't looked too hard. 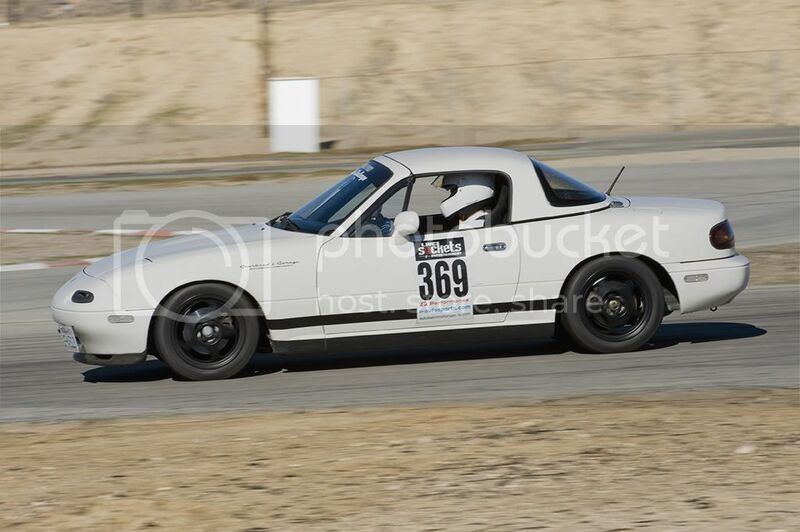 I've been eyeing the Sparco Sprints as they seem to be fairly drop-in, and lower the seat just a bit as well. I guess I meant that most of the options I've seen look like they require some fabrication work for custom brackets and I'm fairly useless with that. I wouldn't even know where to start. I need/want something that I can order with the brackets and bolt them in with little trouble. Not afraid to spend money on good seats, but I don't want to be grinding and cutting to bolt something straight on the floor or have to make some custom job in my living room. I've been eyeing the Sparco Sprints as they seem to be fairly drop-in, and lower the seat just a bit as well. They won't, if you use the bolt-in hardware. I need/want something that I can order with the brackets and bolt them in with little trouble. 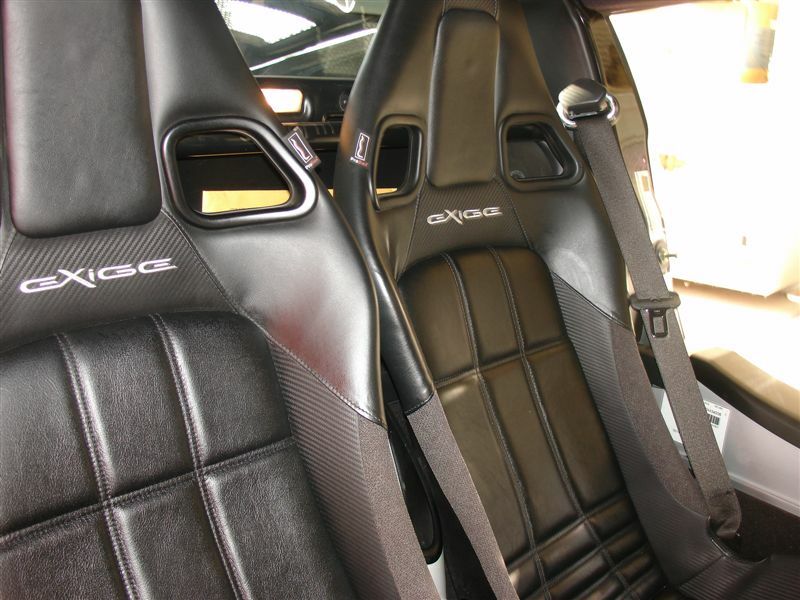 I wish I knew someone with an Elise so I could try one of the seats. I suppose I could just go over to Park Place. 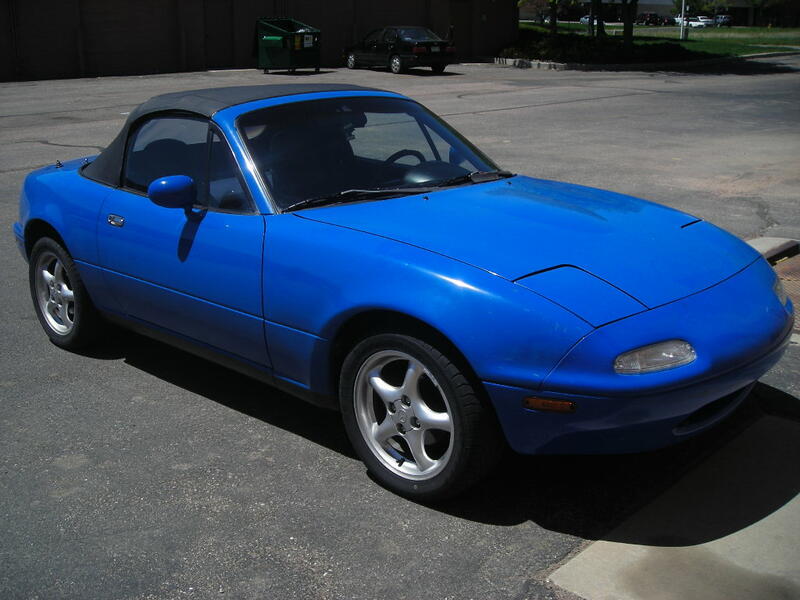 There was one on CL a few months back, but it was sold by the time I called. No belt pass-through for a proper harness. I thought that between brackets from Goodwin and Sparco they worked, but perhaps it was an older version. Oh well. I'm gonna just start with foam removal to drop my head a few inches and see if anything fun pops up in classified ads. 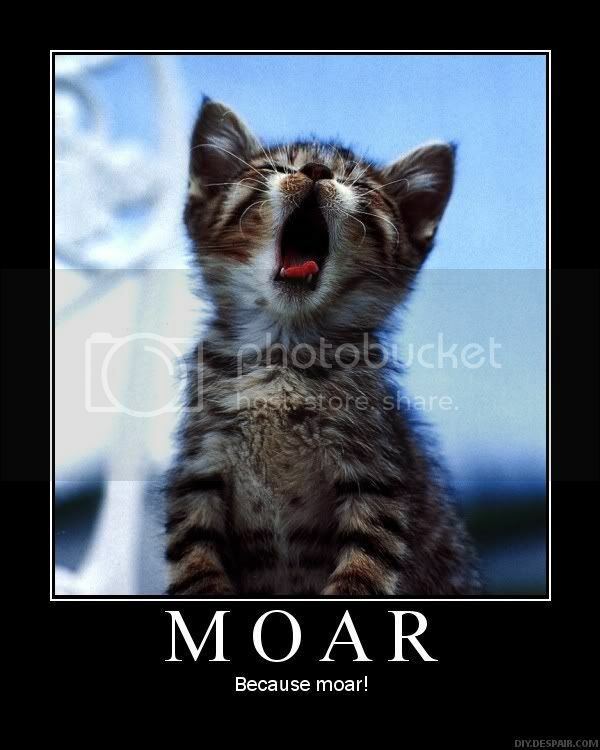 Last edited by freedomweasel; 09-08-2011 at 05:54 PM. Perhaps I should have pointed out that the picture above is the best reference for the height difference. It is possible to use Sector 111 cutouts for the harness pass-through or you could buy an Exige seat or Tillet seat. Fair enough. 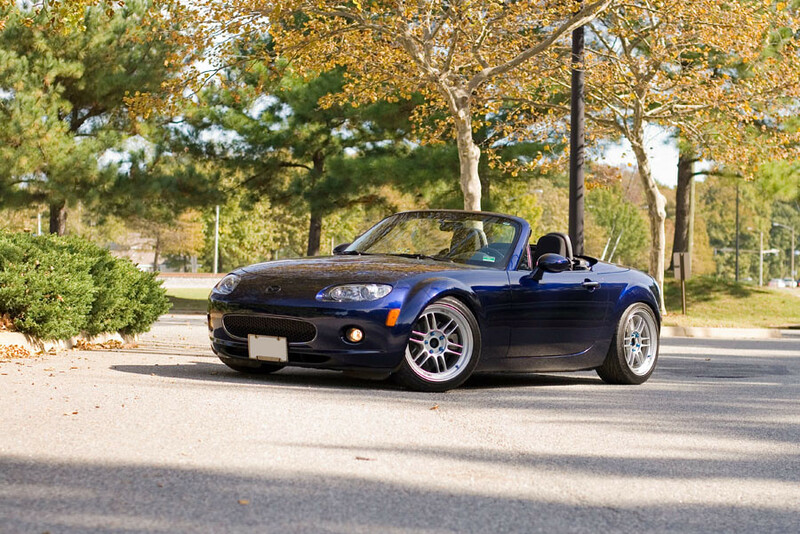 But when I read the term "race track ready" in regards to seats, in addition to being set at the proper height (when convertibles are involved), I also think "it needs to work with a five point harness." 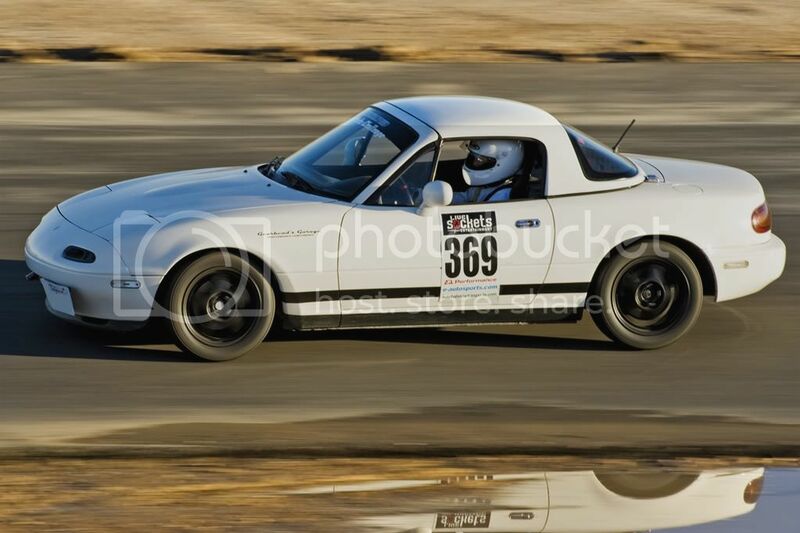 If it doesn't, then in my mind, it's not race track ready. But that's just me. 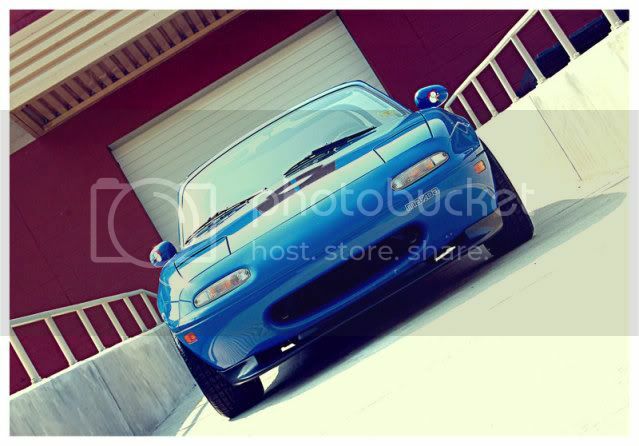 Regarding 4-bolt harnesses on Miata's, where would be the proper mounting area? Because I know they say to not mount the harness below your shoulder or you will cause compression. 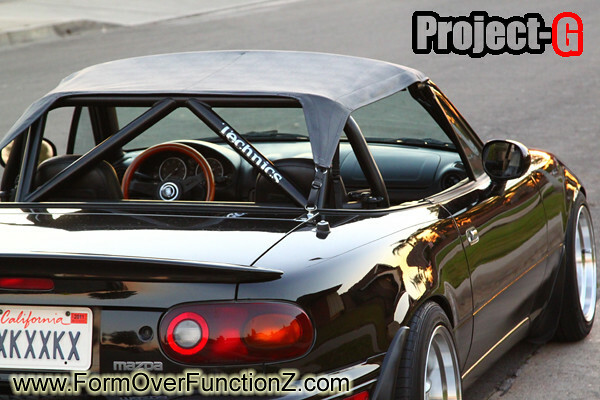 Harness bar on your rollbar, or Bossfrog claims you can wrap the harness directly on a specific spot on their rollbar and it's at the correct angle with no need for an additional bar. 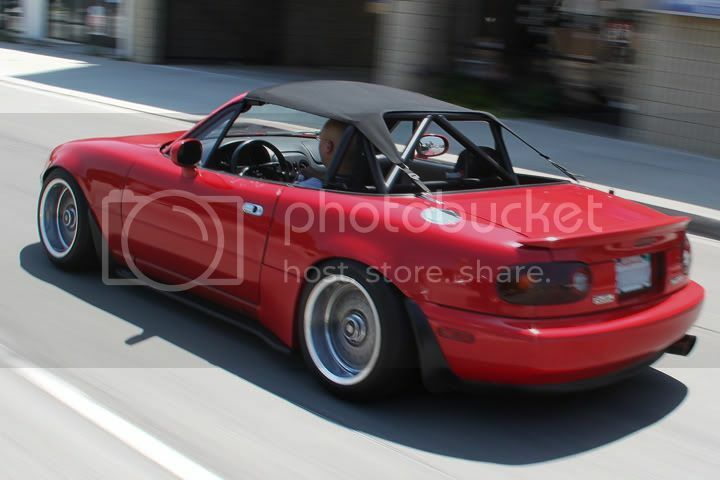 I'm sure you can get harness bars that'll work, but I don't think I'd use a harness unless I had a sufficiently sturdy (FIA approved) aftermarket seat with a roll bar. 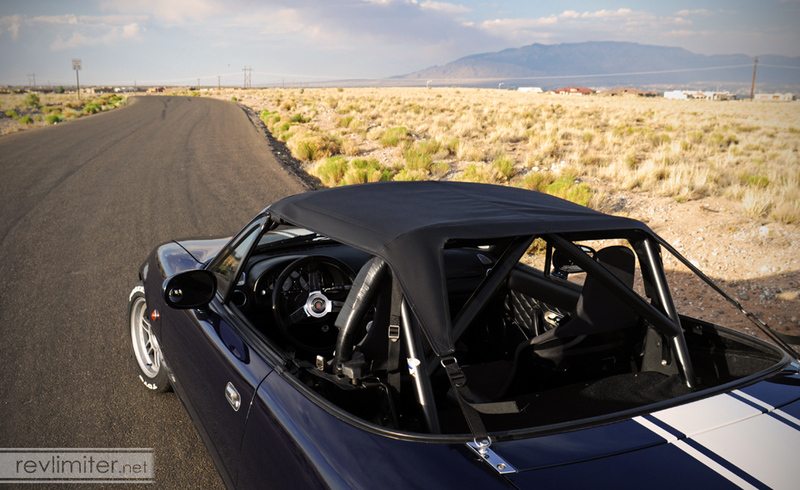 Most roll bars include a place to connect your harnesses properly to avoid compression issues. 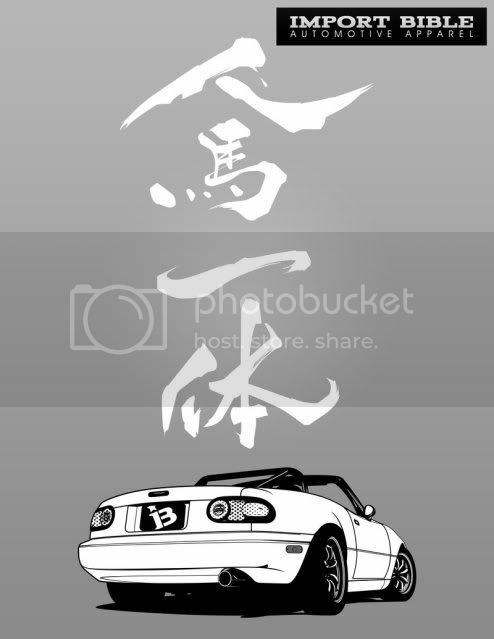 Just remembered about this cool mini-top option I'd seen in phryxis's Nisei Showoff thread. 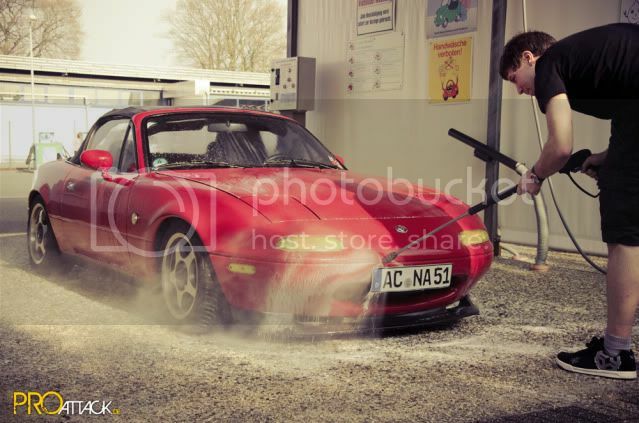 I believe this is a TCL Member's car... Troze something if I'm not mistaken? 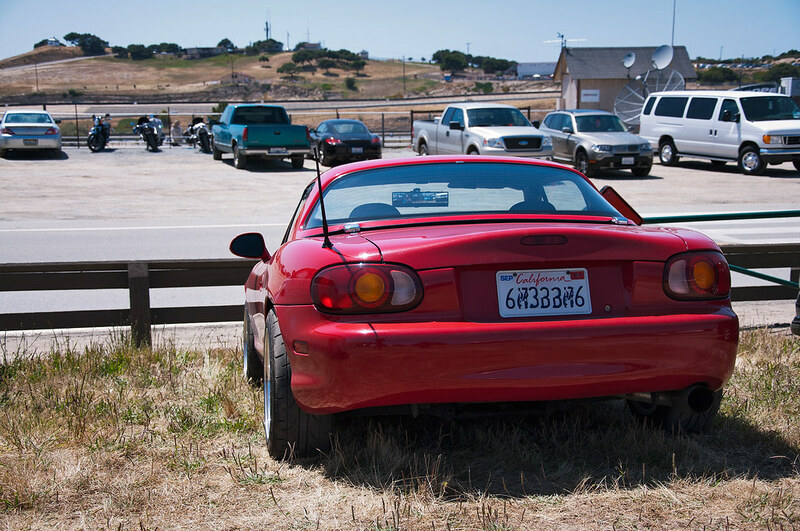 Miatas attract a number of types of enthusiasts, I think that's pretty cool. Definitely makes these threads a little more interesting at least. 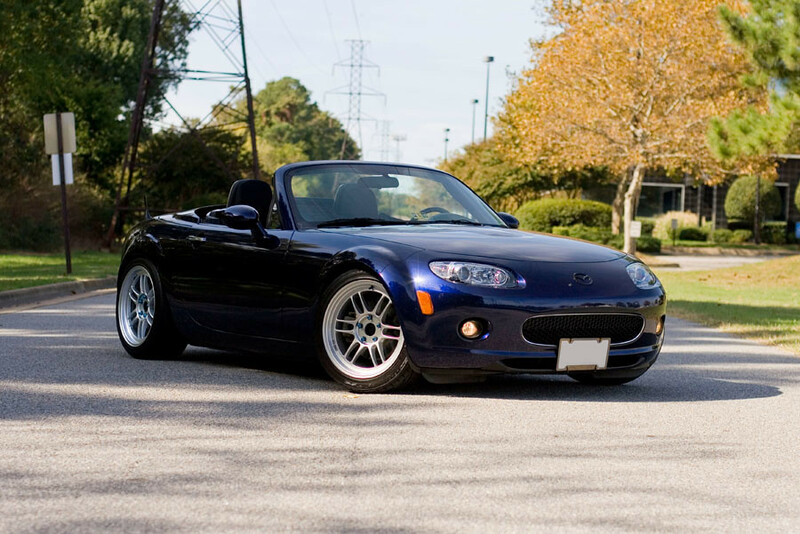 Almost bought a Marnier blue Miata, but I really couldn't stand the cracked dash, and I seriously considered a NB/MS NB but the price was way too close to the S2000. They also have next to no bolstering.